Rumors about a Google Nexus tablet have been circulating the web for quite some time now and it seems the slate PC does exist. Apparently the guys over at Gizmodo Australia have managed to get their hands on a leaked training document, which revealed the Nexus 7 will be unveiled as part of the Google I/O Conference in San Francisco. (27-29 June, 2012). According to the above mentioned document, Google’s upcoming portable device will indeed be manufactured by the Taiwan-based company Asus and will run on an Android Jelly Bean operating system. As rumored, the Nexus 7 will be driven by an NVIDIA Tegra 3 SoC (system on a chip) that accommodates four ARM Cortex-A9 processing cores clocked at 1.3GHz and an integrated, ultra-low power (ULP) GeForce 12-core GPU (416MHz). Furthermore, the tablet reportedly comes outfitted with a 7-inch IPS (In-Plane Switching technology for a 178-degree viewing angle) touchscreen display with a native resolution of 1280-by-800 pixels, 1GB of internal RAM and 8GB or 16GB (depending on the model) built-in storage. Other features apparently include an NFC module (Near Field Communication), Google Wallet (in the USA), Android Beam, an integrated 1.2MP front-facing web camera for video calls and a battery that has an autonomy period of up to nine hours on a single charge. 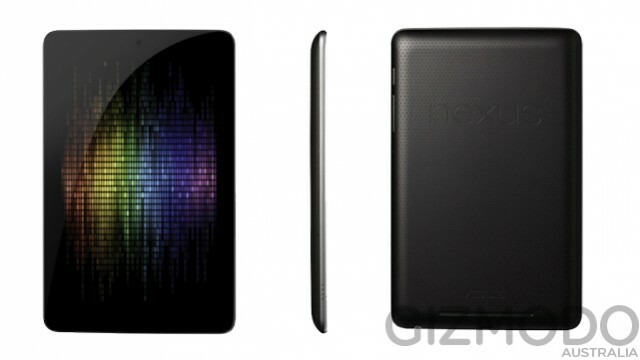 The 8GB Nexus 7 tablet will supposedly be priced at USD $199, whereas the 16GB variant carries a $249 price-tag.